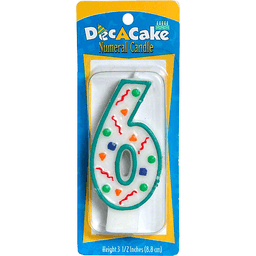 6-1/2 inches high. 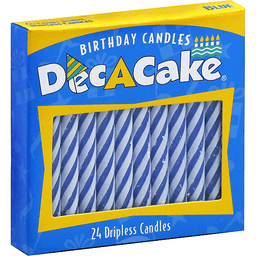 Add a touch of elegance to your party with these long-lasting candles. 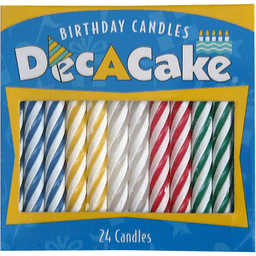 Decorate your cake with these candles and make your party special! 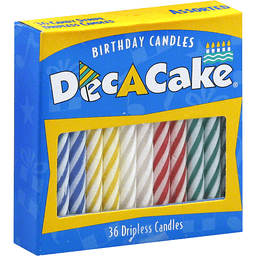 Product of China. 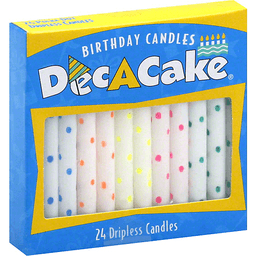 Height: 2-1/2 inches. 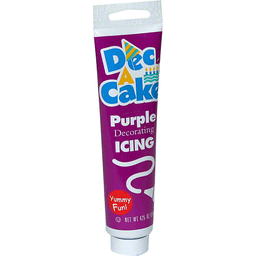 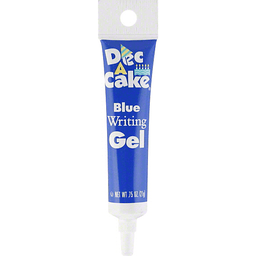 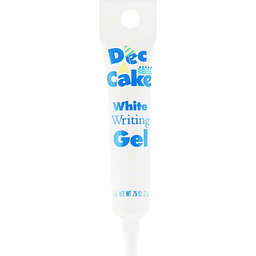 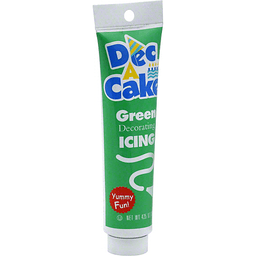 Decorate cakes with easy to use writing gels, decorating icings and dessert sprinkles. 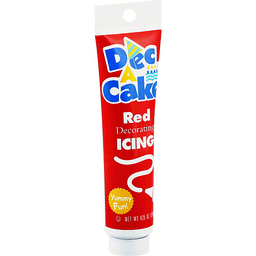 Product of China. 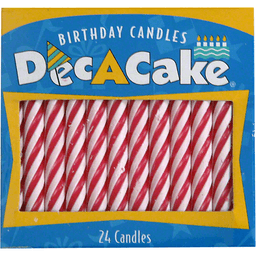 Small, multi-colored decorettes. 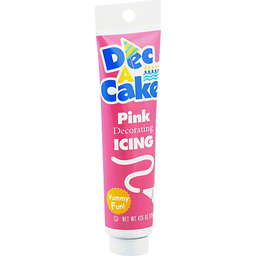 Works well in baked and non-baked foods. 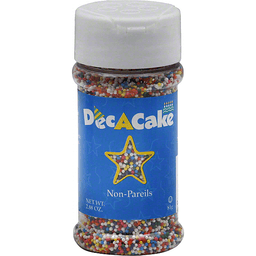 Add non-pareils to your favorite cookie dough for a special multi-colored effect. 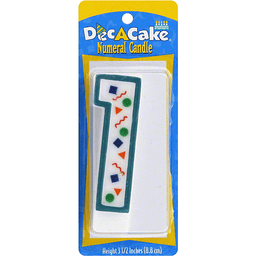 Dec A Cake Numeral Candle, ? 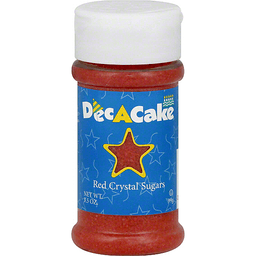 For a delightful addition, sprinkle Red Crystal Sugars over ice cream, frosted cakes, cupcakes and cookies, French toast, waffles, pancakes, cereals, fruit, custards, puddings, whipped cream, etc. 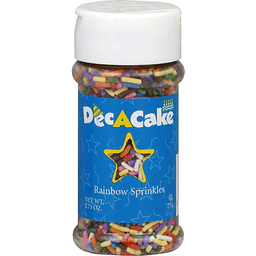 Sprinkle over sugar cookies before baking. 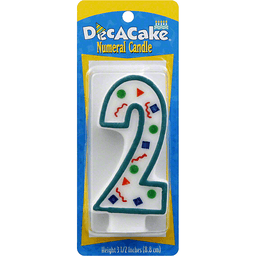 Height: 2 1/2 in. 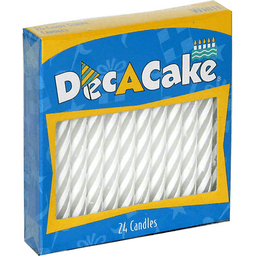 Product of China. 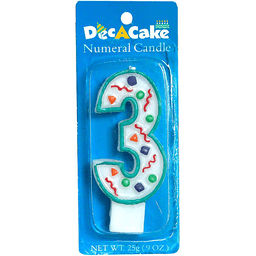 Height: 3-1/2 . 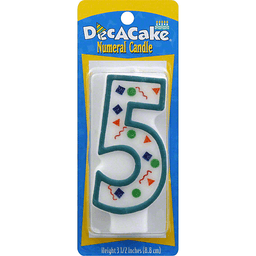 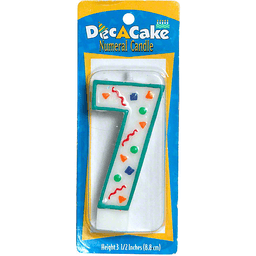 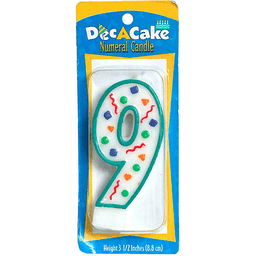 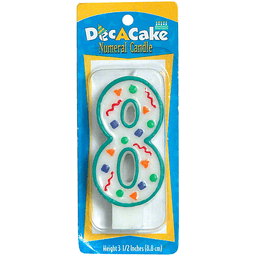 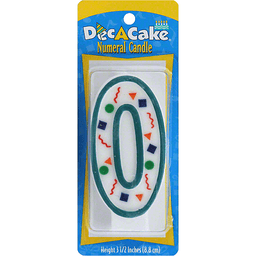 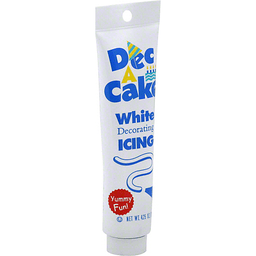 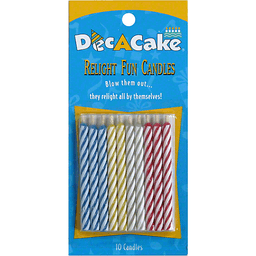 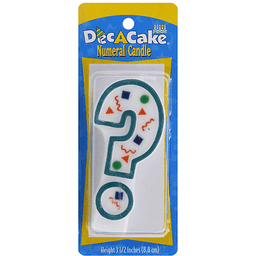 Dec-A-Cake Numeral Candles add a fun, personalized touch to any cake or party! 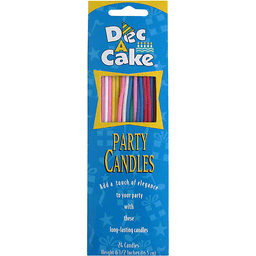 Have more fun at your party! 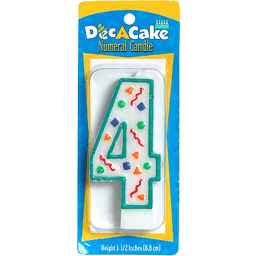 Height 2-1/8 inches. 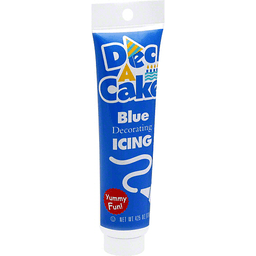 Product of China. 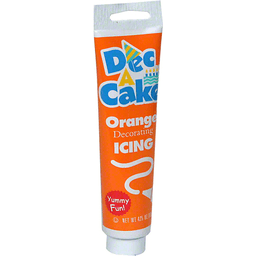 Height 2-1/2 inches. 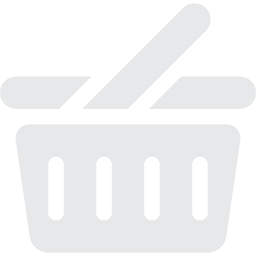 Product of China.